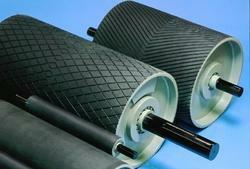 Manufacturer of a wide range of products which include conveyor pulleys and head pulley. We offer an exclusive range of Conveyor Pulleys that fabricated the pulleys so that it withstands the stress while functioning. This is manufactured in adherence with the set industry norms from optimum quality raw material and advanced technology. Our entire range is highly resistant to wear and tear and known for durable performance. 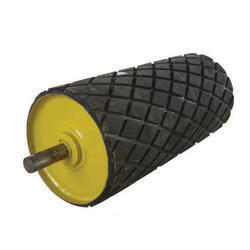 This Conveyor Pulley is extensively used in various industrial and commercial industry. We are the leading manufacturer and supplier of Conveyor Pulleys in Tamilnadu, Kerala, Coimbatore, Tirupur, Karur, Salem, Chennai etc. Owing to our experience we are indulged in manufacturing a wide range of Head Pulley. These Magnetic Head Pulley are easy to manage and easy to clean. These pulleys have a heavyweight and used in various industries such as paper industry, cement, coal, and glass industry. These pulleys are fixed at the ends of conveyors so as to ensure smooth movement of conveyor belts. Note: We are the leading manufacturer and supplier of Head Pulley in Tamilnadu, Kerala, Coimbatore, Tirupur, Karur, Salem, Chennai etc.